A friendly and efficient concierge with a flair for great customer service who strives to ensure a warm and memorable stay for all guests. I was successful in moving into the role of Concierge and enjoy my role. I enjoy ensuring guests feel welcome and using my knowledge of the local area. 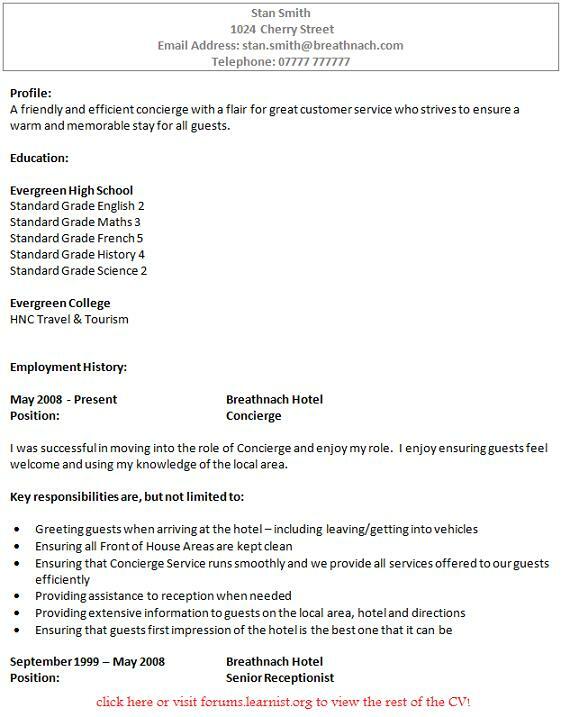 On my colleague’s return from maternity leave I was successful in securing the Senior Receptionist position within the main Hotel. Along with my colleagues we developed a system for communicating with each other using a document that was updated each day, detailing any issues we’d had or information which required passing on, which could be used as a handover. This has reduced the amount of missed information being passed over between shifts and various departments. I took this role as maternity cover and gained some valuable skills and experience in terms of managing a team and responsibilities. I assessed where we advertised our special offers and services and identified and areas where we had less bookings. I identified that our pregnancy packages were not big sellers for us. I conducted some research and identified a variety of places we could advertise to reach our target audience. The increases in sales of these services were increased by over 60%. I was given responsibility for the Shoe Department. This involved dressing the displays and ensuring we were achieving targets set by head office on a daily, weekly and monthly basis. I was successful in turning around the performance of the department so that it achieved its target 92% of the time I was in the role. I started in this role on leaving school. It was a very interesting and varied role which taught me a great deal about the hotels and the hospitality industry. In my spare time I enjoy spending time with my wife and young children. I also enjoy long walks and hill climbing.